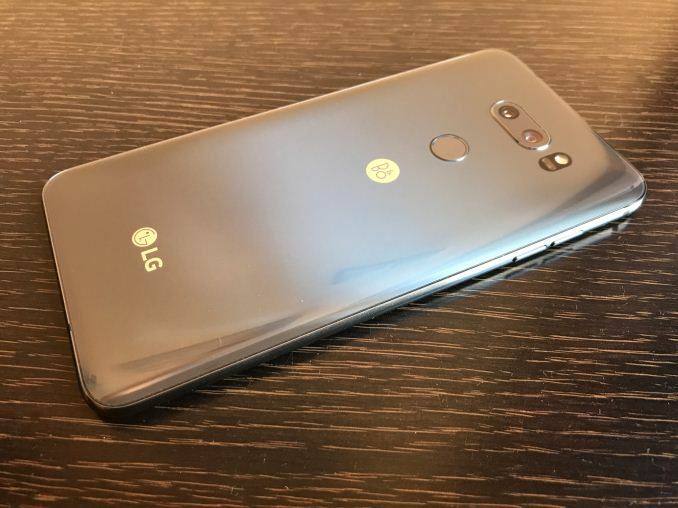 LG traditionally releases its V-series flagship smartphones in Fall/Autumn: the V10 was launched in September ’15, the V20 was introduced in October ’16 and the V30 was announced in October ’17. This approach makes a lot of sense as the company manages to roll out the best it has in terms of hardware and software just weeks before the holiday shopping season. But what if certain features (or even technologies) are not ready - delayed launches can hurt companies financially, so it is not an option unless you have a large loyal customer base that can wait, but even in this case missing Christmas season is not good. Apparently, LG decided to refresh its V-series in the middle of the product cycle by adding a number of artificial intelligence / machine learning capabilities (which we understand were not ready last October), as well as expanding DRAM, storage, and new casing colors. Such a mid-cycle refresh is a rather controversial thing because it can somewhat devalue the recently released version that it is based off - no-one wants their shiny new device to no longer be the latest in such a short timespan. 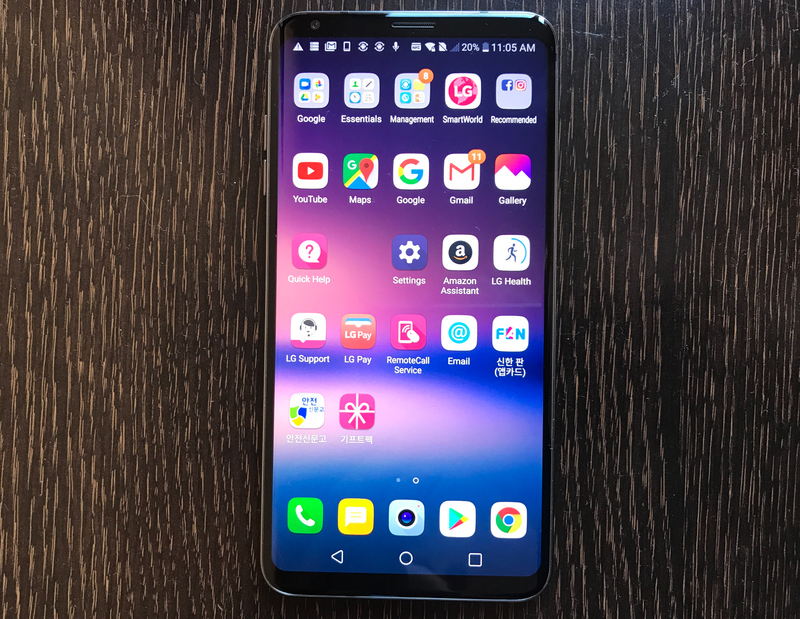 The key thing here though is that the differences between the LG V30 and the LG V30S ThinQ are arguably not sufficiently significant enough to upset buyers of the original handset, plus the AI-/ML-based capabilities will eventually come to the V30 through software updates. The current product launch helps LG to draw attention to its Snapdragon 835-based smartphone and somewhat differentiate itself from other makers of devices based on the same SoC. That definitely does not hurt, especially keeping in mind the imminent Galaxy S9/S9+ launch. The LG V30S ThinQ features the same 6” OLED display as its immediate predecessor, and is based on the same Snapdragon 835 SoC as the V30. The new version essentially expands the models on offer - the new one comes with 6 GB of LPDDR4X RAM (up from 4 GB) as well as 128 GB or 256 GB of UFS 2.1 flash storage (up from 64 and 128 GB on the V30). In addition, the new smartphones come in new colors: the Moroccan Blue and the Platinum Grey. During the V30S ThinQ news conference that preceded its formal launch, LG noted that the structure of the phone (a metallic frame with two pieces of glass) enables the company to offer a vast amount of color options. For example, the company introduced a limited edition Raspberry Rose V30 for Valentines Day. Hardware differences between the LG V30S ThinQ and the LG V30 end here. Time to talk about software. Earlier this year LG introduced its ThinQ brand, which seems to be a universal name for all of its artificial intelligence, machine learning and other “smart”-badged efforts across all of its product lines. LG’s ThinQ platform for smartphones currently includes AI Cam and QLens technologies for camera, LG’s Appliance Control for smart home as well as Voice AI/QVoice and Google Assistant for voice-based functions. 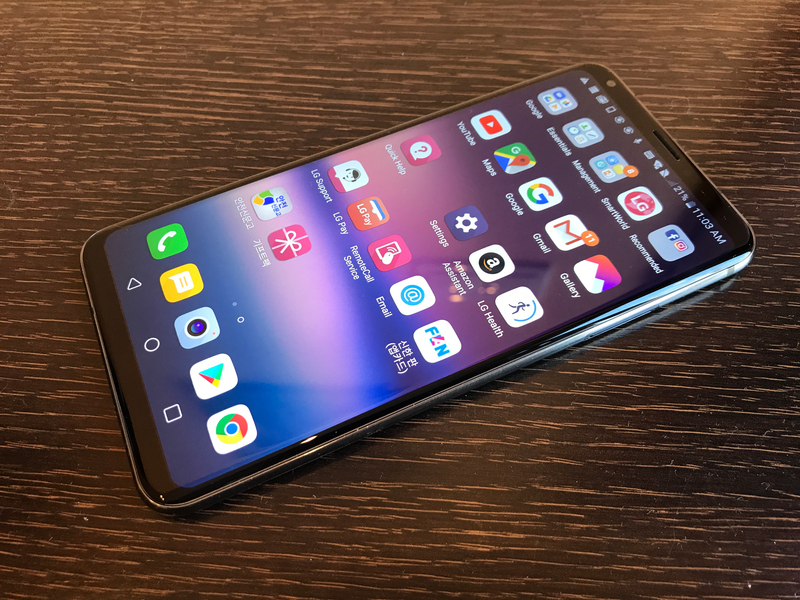 LG plans to expand feature set of its ThinQ platform, so devices that have the underlying supported hardware are likely to inherit the latest capabilities somewhere along the line. The company is committed to expanding its ThinQ platform with functionality, either developed internally or licenced from third parties. For example, the AI Cam feature in the V30S ThinQ was developed and trained by the company called EyeEm, with custom LG implementations over the top. 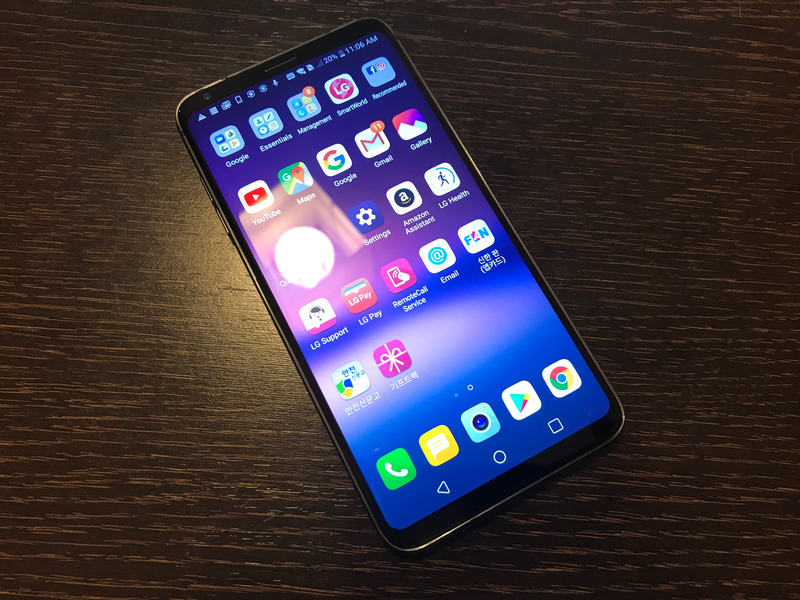 Such an approach enables LG to quickly increase the number of features its devices support, but makes it harder for the company to make them work in concert. For example, if I picture snowy mountains in the morning and then ask to “recommend me a sunscreen” in the middle of the day, a proper AI would realize that I need a sunscreen for high altitudes, not for Mediterranean beaches, because it would analyze both my activity and location. LG fully realizes that making an AI work well is a long-term endeavor and that everything is on early stages today. The AI Cam recognizes objects in the frame and recommends appropriate shooting modes. There are eight of them right now: portrait, food, pet, landscape, city, flower, sunrise, and sunset. The QLens that analyzes the frame and enables to perform a visual search, or a visual shopping search. The latter capability was first introduced by Amazon with its Fire smartphones back in 2014; the Firefly tech was supposed to recognize over 100 million items, including movies, TV episodes, and products (including wine labels), but Amazon has never disclosed whether it helped to drive its sales. As a bonus feature, the QLens can scan QR codes, eliminating any need for a third-party software for this simple operation. Bright Mode for photos that measures ambient light and then uses an algorithm to “brighten images by a factor of two for better looking photos without the noise”. The Voice AI (called QVoice in some of LG’s marketing documents) enables users to run apps and change settings using voice alone. Obviously, this will require support from Google and app developers because of security concerns, but enhanced voice controls could be an interesting feature. Following the LG V30S ThinQ-related news conference, LG handed us a pre-production sample of the smartphone to play with it and experience the new features. Just before we jump to the AI-/ML-enabled capabilities, it is worth noting that the Platinum Grey color of the smartphone looks impressively futuristic. The Corning Gorilla Glass 5 surface on the back of the phone does not make it look metallic (if that was the intention at all), but it certainly does not feel like plastic either. Think of it as of Apple’s Jet Black, only this one is grey and Corning Gorilla Glass 5 does not scratch that easily. A particularly good thing about the AI Cam, QLens and the Bright Mode was the fact that they were easy to find and use. Many new features on some smartphones are hidden and therefore are not particularly easy to use, especially when in the go. This is not the case with the said capabilities — finding them is easy, their UI feels logical. In an extremely dark room, the Bright Mode works rather well, it does not add noise (as promised), but many details are lost, which is something that happens with images in dark conditions anyway. Keeping in mind that in most of the cases the Bright Mode will be used for picturing in conditions with poor lighting (not in absolute darkness), removing noise at a cost of some detail loss seems like a reasonable tradeoff. The AI Cam (scene detection for camera presets) operates rather smoothly from performance point of view, but currently works in a rather funny way: it recognizes orange juice as beer or wine; contents of the fridge look like bath to it; a MacBook Pro laptop is perceived as text, a musical instrument, technology, and only then as a computer; and the Logitech Performance MX mouse is seen as a person or a musical instrument. All-in-all, it seems that the AI Cam software needs further training as right now it can recognize only a limited list of objects. In the meantime, we have a short video. The QLens (detecting objects) can do its job, but it also needs improvements. It could not recognize the Logitech MX Master mouse with a very distinctive look, yet it realized that it was dealing with a black mouse, not a musical instrument or something else. It also realized that it was shown a MacBook Pro notebook, yet instead of offering me to buy a similar device (the MBP with a TouchBar has a distinctive look), it offered me to buy some MacBook parts. So, while it understood that this was an Apple laptop, it did not get the model right, which is crucial for shopping. A similar thing happened with black shoes: it understood that it was dealing with black oxford shoes, but could not recognize the brand or the model. 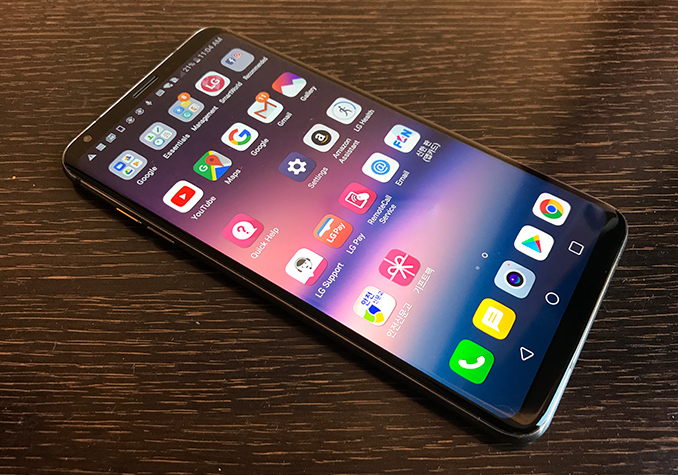 Keep in mind that we were playing with a pre-production sample of the LG V30S ThinQ that was far from finished: it had multiple app icons in Korean, for example. So, while I can confirm that the new features work, I cannot say that they work as they are supposed to. The final hardware and software that will hit the market in the coming months will likely perform differently and the ThinQ-badged elements will be updated over time (hopefully, these features will be updated throughout the lifetime of the device). LG did not announce MSRPs or exact launch dates for the V30S ThinQ at MWC. The only thing we know is that the smartphones will start emerging in the U.S. and South Korea “shortly” and their availability will gradually expand. 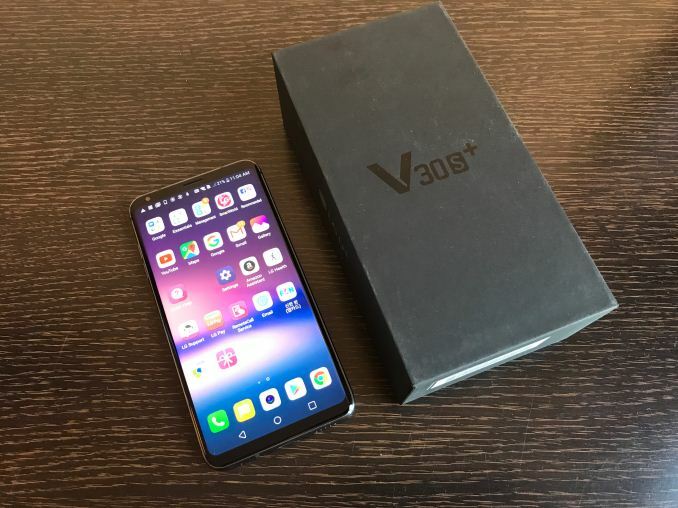 In some countries LG will keep selling the V30 alongside the V30S ThinQ, in others the new model will replace the old one. As for prices, expect them to be comparable to the current V30 SKUs, but it all depends on markets and other factors. I don't trust LG to do the right thing anymore. While the phone really looks sleek, software has burned me once too often, and the very same thing goes for LG's bootloops (and the terrible customer support in that regard). All of the above applies to the V30 already.. sooooooo..
... I really do not get this device. If -as promised- the V30 gets the "AI" features via software update*, why bother with a new device? Incremental hardware upgrades to hardware could always be made, but what's the point? Rebranding? The Damokles-S9? Being in the news with AI-stuff, even if it doesn't work? To me, this signals that LG is out of their depth. They make nice hardware but fu*k up on other fronts. Historically, this has been software. And while they improved, they obviously did not have resources to properly implement their machine learning elements, let alone integrate it in any meaningful way (mind, others struggle with that second step too). Which indicates they did not get on board the train on time. While they fix their software and run after Google and Samsung (possibly Apple), others have turned towards making ML a useful element, and this disaster shows LG is a long way from the pack..
AI without training isn't much smarter than a bag of nails, unfortunately. All that training data lives in the cloud, in the massive torrent of data that Google et al. vacuum up every day.